Four courses, two winemakers, nine wines and only 12 tickets available. This opportunity has come to us at the last minute and represents a great chance to spend an intimate evening at the same table as two esteemed NZ winemakers. 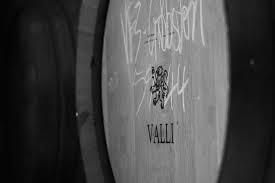 Greywacke and Valli are two of the great names in NZ wine with a stable of products that have garnered accolades across the globe. We look forward to introducing Richard and Jen to the neighbourhood and hearing their stories.